A prominent citizen of Fiji and a pillar of the Fiji Indian community living in San Francisco Bay area, Dhirendra Balram has died in Oakland, California. He was born in Sigatoka and spent most of his adult life in Ba and later in Suva. He was one of the founders of DAV College, Ba. He worked alongside with Pundit Ami Chandra to establish one of the first high schools in the early 1950s. He later became principal of DAV College, Ba. He worked tirelessly to promote Arya Samaj educational institutions in Fiji. While residing in Ba, he also played soccer for the Ba team. He was the captain of the Ba team for several years. He was also the general secretary of Fiji Football Association for eight years during the late fifties and early sixties. In 1957 Mr Balram moved to Suva and became the Deputy Registrar of the Supreme Court of Fiji. He held that post until 1972 when he moved to the Ombudsman’s Office and became an associate of Justice Moti Tikaram who was then the Ombudsman of Fiji. He migrated to USA with his family in 1975. His role in the judiciary was highly applauded by the legal fraternity as well as judges visiting Fiji, such as, Lord Denning. He also used to produce and personally deliver over the air, Hindi programmes for the Fiji Broadcasting Commission on a part-time basis. His programmes like; “Desh Desh Kei Logh” and “Hamarahe Mahaaprush” became very popular during the sixties. He was also a singer and musician. His songs used to be played by FBC. Mr Balram worked for Blue Cross Insurance Company in San Francisco, USA, as an investigator until 1991 when he retired. During his retirement, he became an Arya Samaj pundit and performed thousands of weddings, hawaans and officiated at many funerals both for the India- Indian community as well as the Fiji- Indian community. He was revered, admired and adored by many fans. His knowledge of Hindu scriptures and his competence to speak Sanskrit language was applauded by many. He was the first Pundit in USA who started to translate Sanskrit mantras into English and explained its significance in a plain, simple language to the audience. 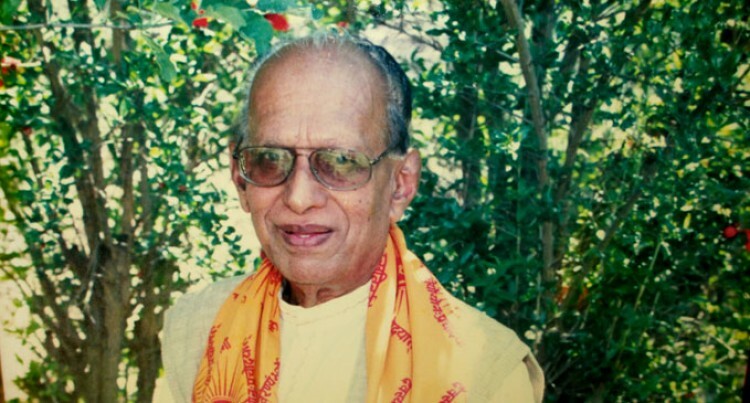 His charitable work and contribution to the Hindu community in the San Francisco Bay area is still being applauded after his death. The late Mr Balram is survived by his wife, four children and eight grandchildren.